Come wrap up 2018 by joining us in this terrific Wellness Program! This program will consist of yoga, reiki, sound healing, nutrition and self-reflection. Please bring your own yoga mat & towel. This program will consist of sessions in yoga, reiki, sound healing, nutrition and self-reflection led by our guest presenters. Please bring your own yoga mat & towel. 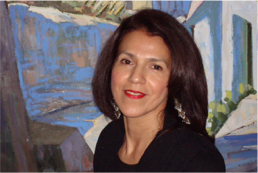 Reyna Gonzalez, RYT, enrolled in Yoga Haven’s pilot Teacher Training back in 1998 to deepen her understanding of yoga. While teaching yoga was not her original goal, the physical practice and the deeper understanding of yoga philosophy, inspired her to want to share the benefits that yoga had to offer. Shortly after she started teaching,she found out she was pregnant, and she quickly felt the need to modify her rigorous Vinyasa practice. The need to modify her practice led her to study various styles of yoga such as Viniyoga, Iyengar, Somatic, Restorative, Prenatal and Postnatal yoga to be able help herself and others address the changing needs of their bodies. Over the course of 20 years, Reyna feels honored to have introduced many students from infancy into adulthood the joy of yoga. In addition to her 200 hour certification from Yoga Haven, Reyna has studied Restorative Yoga with Judith Hanson Lasater, YogaSpirit Teacher Training Course with various teachers including Donna Farhi, and Shiva Rea, Pregnancy Yoga with Janice Clarfield, Itsy Bitsy Yoga for Babies and Tots with Helen Garabedian and Yoga through the Jaguar Path with Ray Crist andAmy Webb. Reyna is also a Reiki Master in the Usui Method She is also a distributor of botanically based skin care and vegan wellness products. Adriana Romero amongst other things, is a Reiki Practitioner and Akashic Records Reader. She is owner of a Holistic & Metaphysical practice called Luminous Inner Healing located in Mamaroneck, NY. 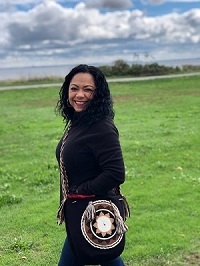 Her practice is about guiding your inner healing and connecting you to your heart, mind and soul. By healing and balancing the three, it will activate your Luminous Inner Light and step into your divine gifts with confidence. Adriana has always maintained a positive outlook on life from an early age. She sees the light and love in every person and believes in seeing the positive to every negative situation. She honors being of service to humanity and living in the present moment and not worrying about the past/future. She loves to spread love, peace and light.